Cinema Conservancy engages in guest programming and coordination of special events at theaters around New York City. A sprawling 6-week, 60+ film survey of American independent film in the 1980s. 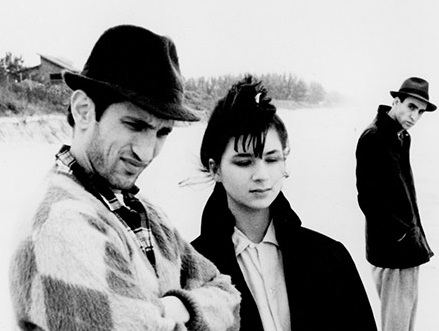 The series included films by Jim Jarmusch, Errol Morris, David Lynch, Joel and Ethan Coen, Stephen Soderbergh, Sam Raimi and Abel Ferrara, as well as lesser known directors of the era. One of American independent cinema’s most distinctive, unsung voices, Oscar- and Emmy-winning director John Korty has quietly carved out a one-of-a-kind career for five decades and counting. Korty has pursued indie and television projects that reflect his boundless visual imagination (including experiments in animation) and glowingly humanistic outlook. Refreshingly offbeat, these rarely screened gems are ripe for rediscovery. David Barker’s Afraid of Everything (1999) at Anthology Film Archives, a tale of a complex relationship between two very different sisters in the Brooklyn waterfront home of one of them. James Gaffney, Martin Lucas and Jonathan Miller’s Tighten Your Belts, Bite the Bullet (1981) at The Queens Museum and The Bronx Documentary Center. A documentary that tracks the economic crises in New York and Cleveland of the 1970s, and the reactions to each by the cities’ mayors.